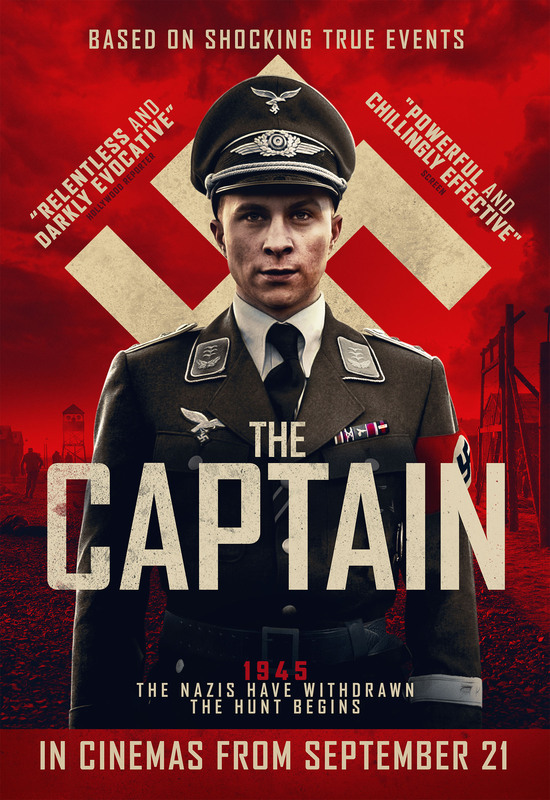 This entry was posted in Movie, Reviews, Trailer, True Story, War Movie and tagged Based on True Story, Der Hauptmann, History, Robert Schwentke, The Captain, True Story, War Movie, WWII. It’s very dark and disturbing. Not graphic at all. I haven’t seen Compliance but it looks interesting. I watch more series than movies too but I try to keep up with German and UK productions and War movies. This one has been on my radar for ages. It’s well worth it. I also think the black and white makes a lot of sesne here. I just now finished to watch the movie and it is shoking and interesting. The movie shows an interesting idea about a man that was chased and become a chaser. What does this concept tell us about good and bad in times of caos?! I recommend watching it, but not for sensetive people. It’s a frightening idea, isn’t it? I could understand that he put on the uniform and pretended to be an officer but everything else was hard to understand. It’s disturbing. But an amazing film. Power and caos makes some People behave differently.